My friend is about to have his first son (after multiple daughters), and as such, is beginning to prep the nursery with decor appropriate for a little boy. 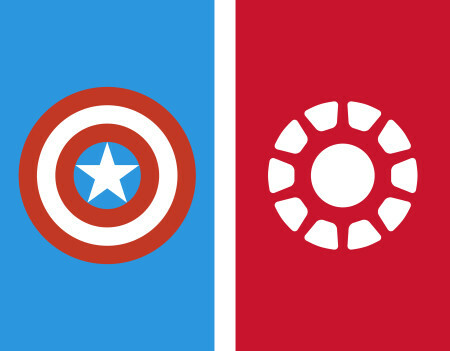 He requested that I make some minimal designs that he will print on canvas with familiar super hero logos or identities. The two he wanted most were Iron Man and Captain America. 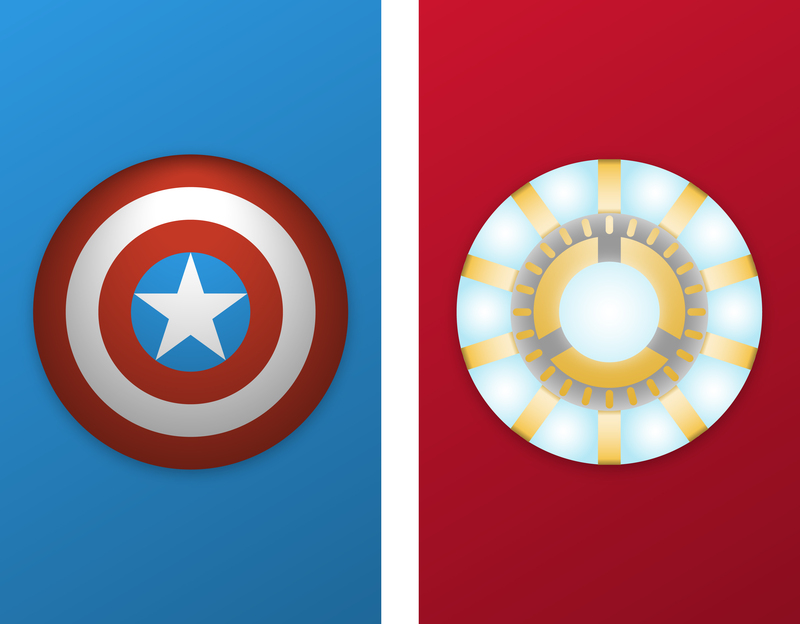 I did a quick design for each based on the most iconic symbol for each. I’m not a huge fan of “minimalist” design. When I say minimal, I’m speaking mainly of “flat” design. I can see the appeal of flat design; It’s easy to make, easy to print, easy to display. It feels lazy to me though. My friend however wanted them flatter. I obliged his request. He was ecstatic. The flatness doesn’t speak to me. It feels sterile, and boring. But he’s happy, so I’m happy. This entry was posted on Thursday, May 7th, 2015 at 7:53 pm	and is filed under Design. You can follow any responses to this entry through the RSS 2.0 feed. You can leave a response, or trackback from your own site.